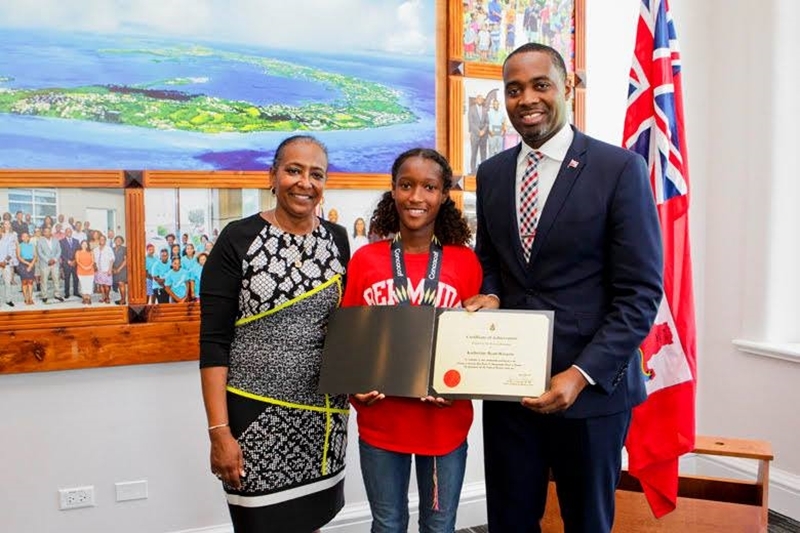 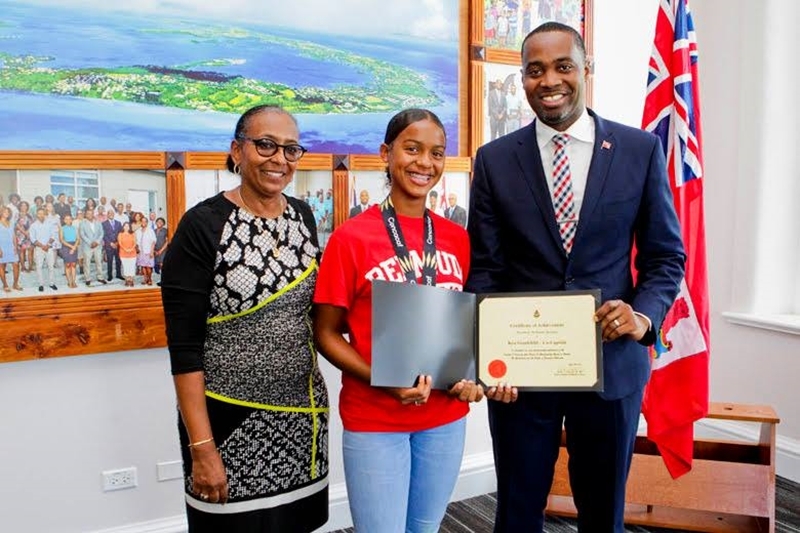 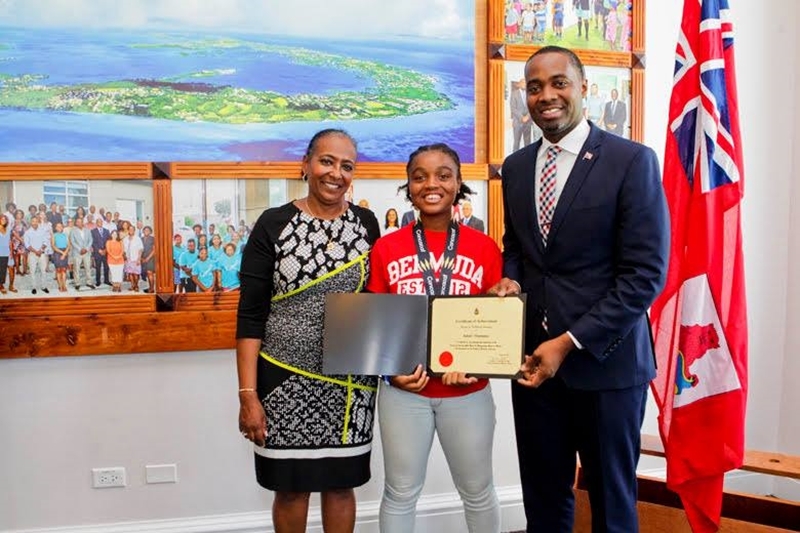 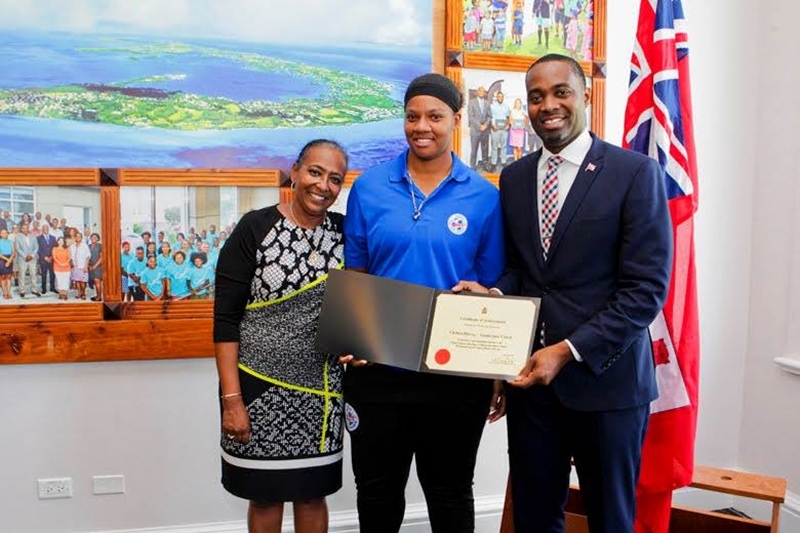 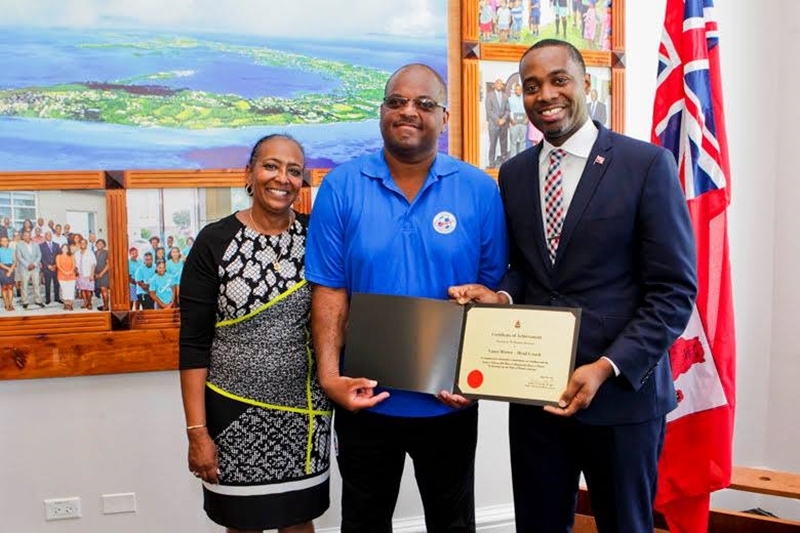 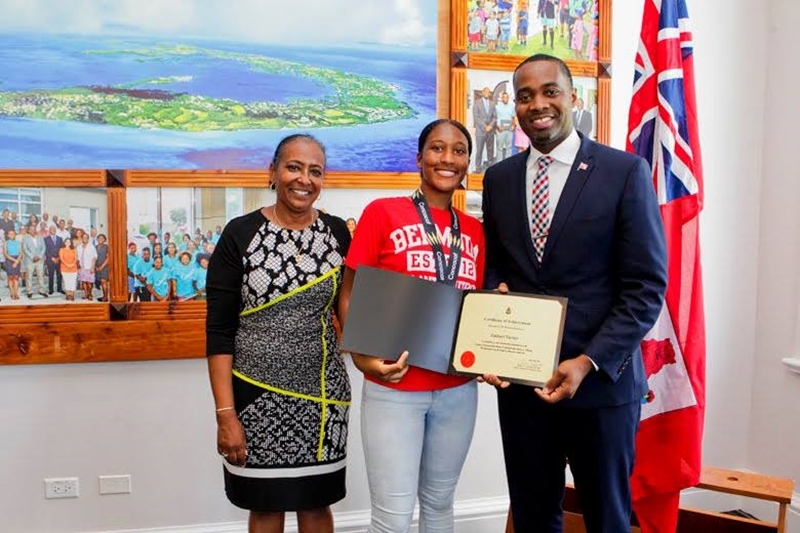 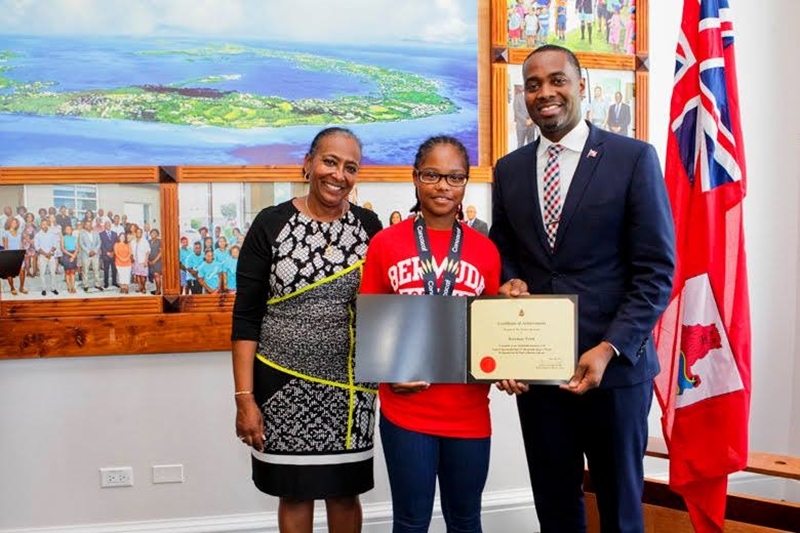 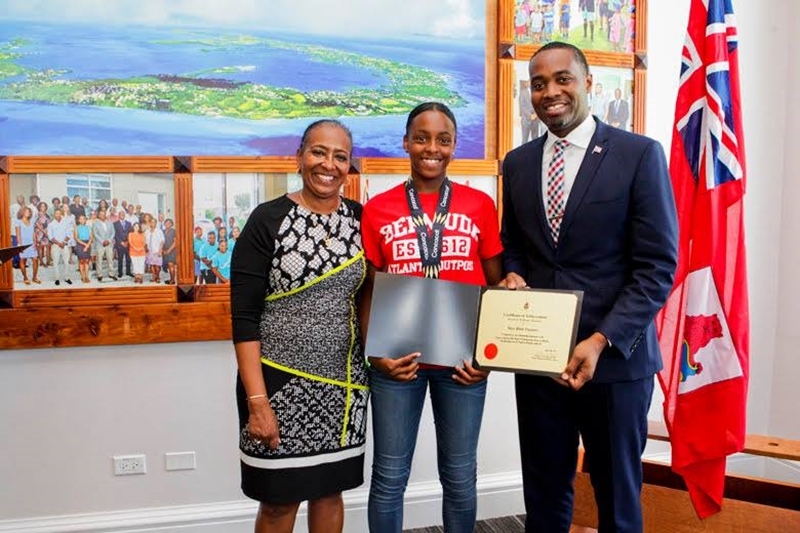 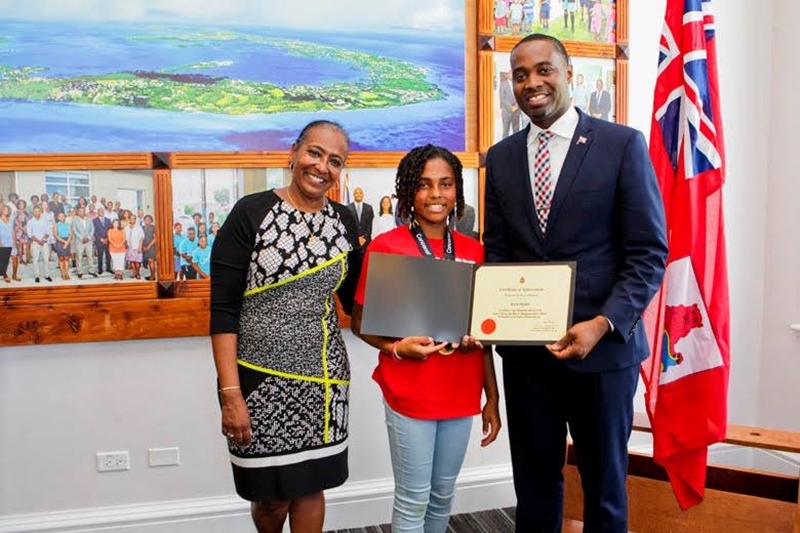 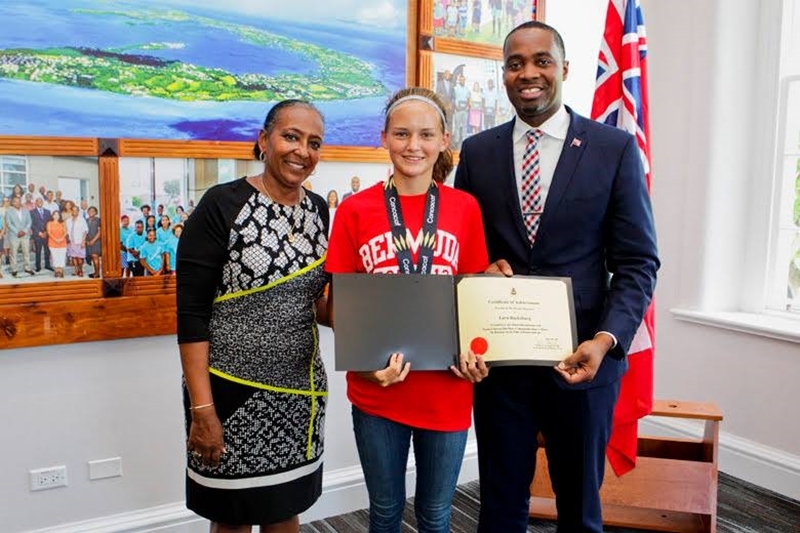 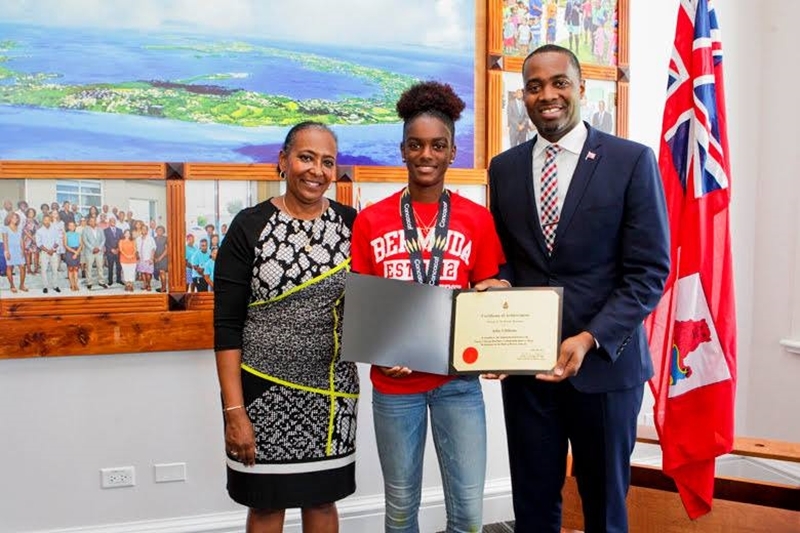 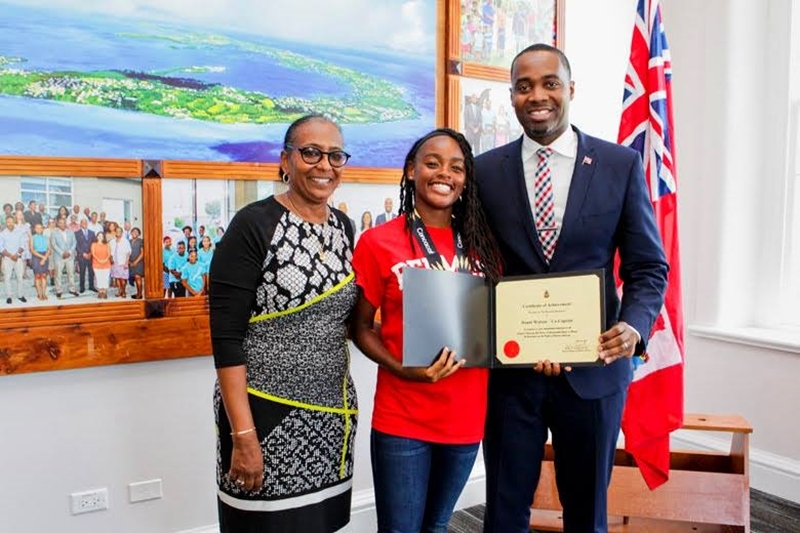 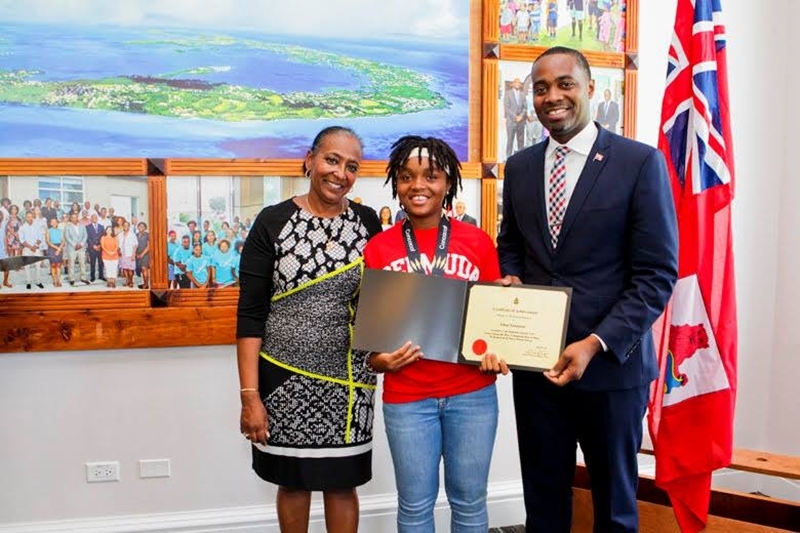 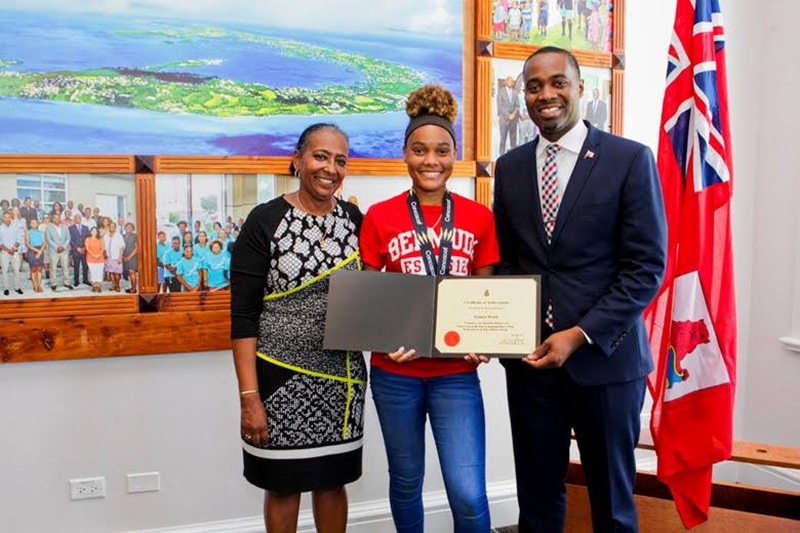 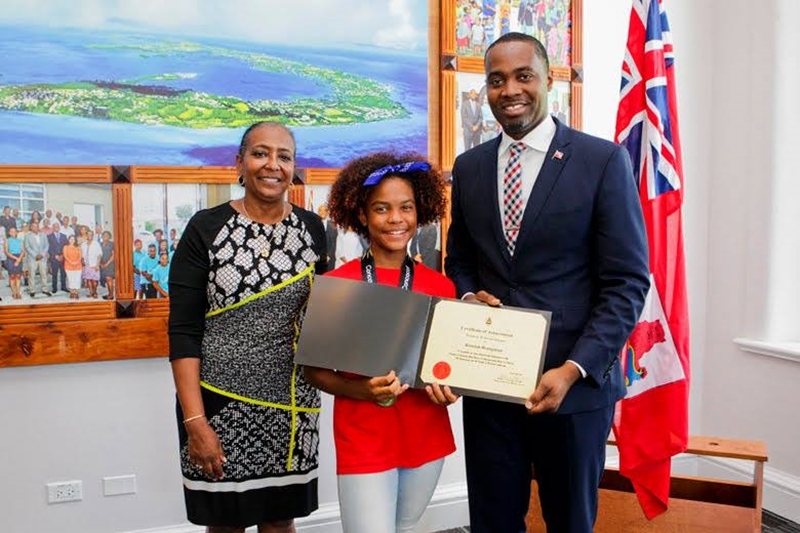 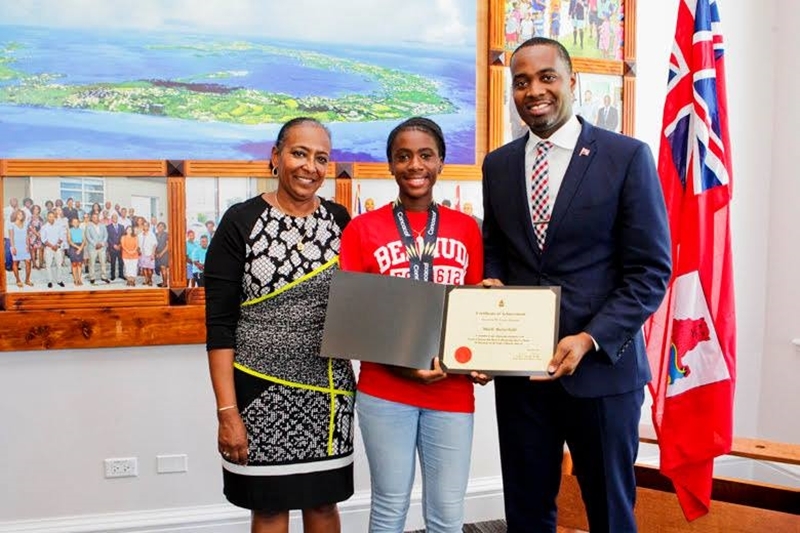 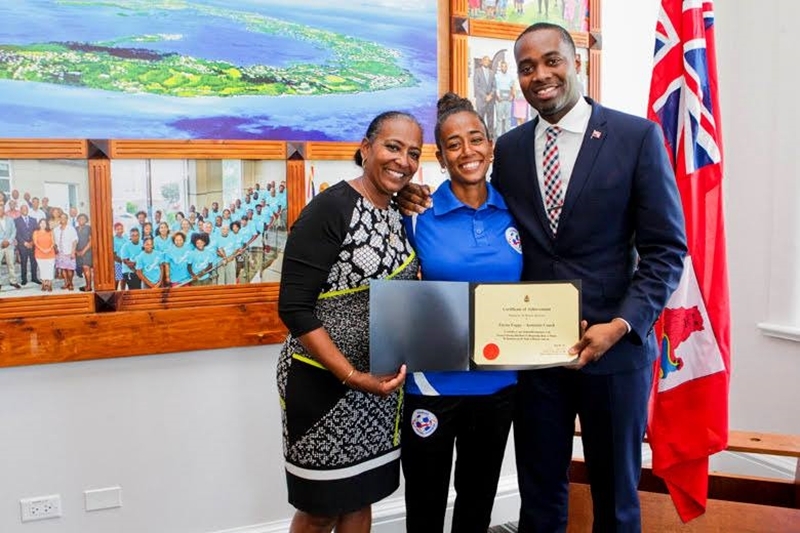 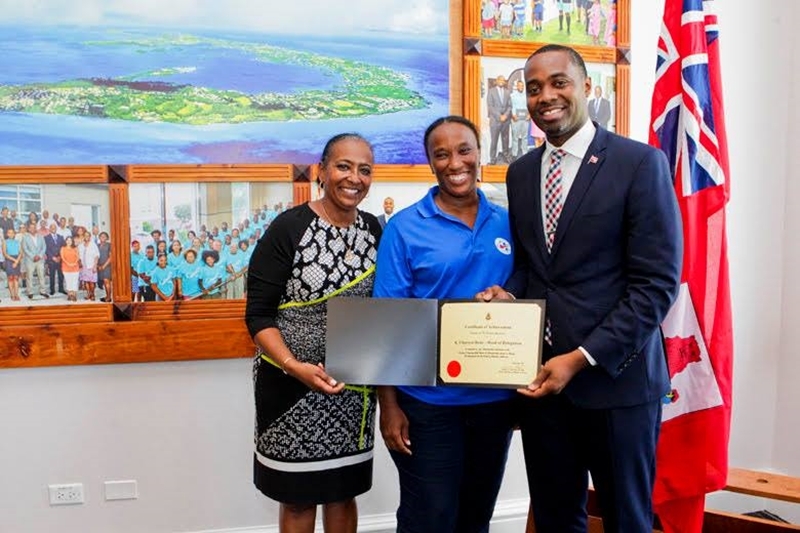 After the celebratory motorcade took them to the grounds of the Cabinet Office, the Bermuda Girls U-15 Concacaf Championship winning team were presented with well deserved certificates from Acting Minister of Social Development & Sports Lovitta Foggo and Premier David Burt. 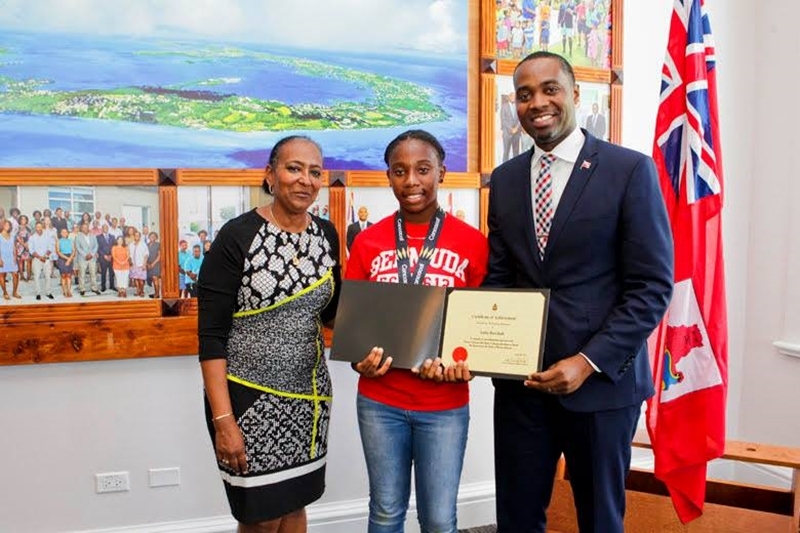 The team won the Division Two Title at the 2018 Concacaf Women’s U15 Championship in Florida in dominant fashion, claiming five consecutive victories to maintain an undefeated record throughout the tournament. 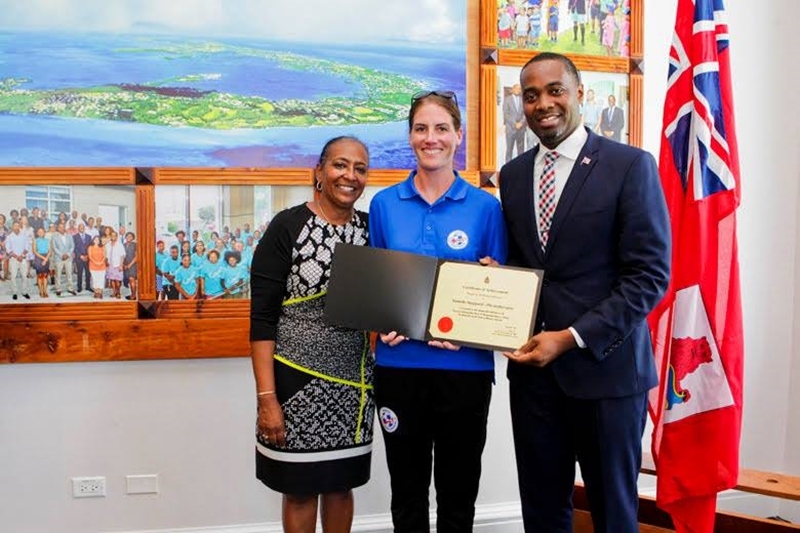 The team advanced to the semi-finals after rolling through the first round with a 3-1 win over Antigua & Barbuda, a 1-0 victory over Barbados, and a 2-1 victory over Curaçao. 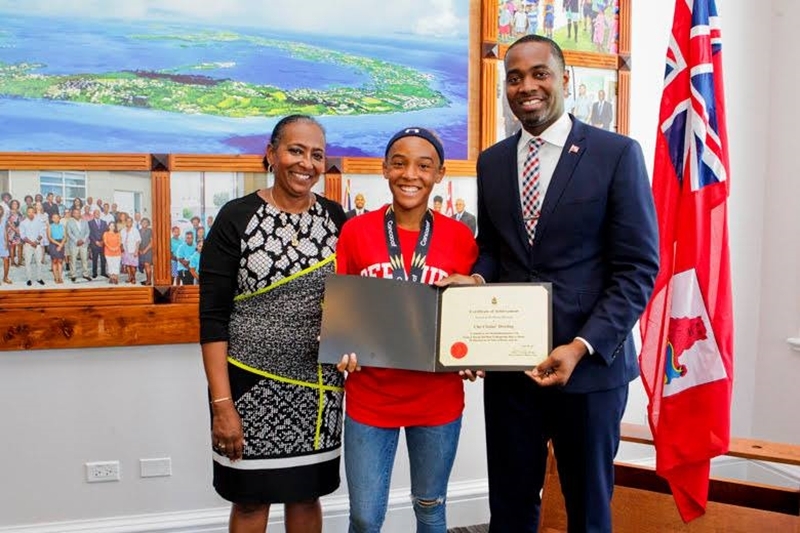 They then claimed a 1-0 victory over St. Lucia in the semi-finals to advance to the finals, where they defeated Grenada by a score of 2-1. 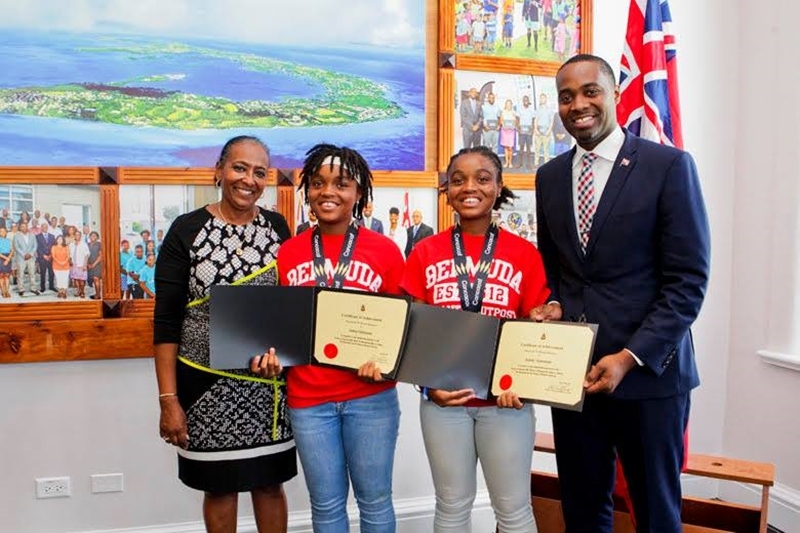 Bermuda’s team consisted of Zakhari Turner, Terrine Trott, Koa Goodchild, Satia Burchall, Danni Watson, Zemira Webb, Jahde Simmons, Emily Cabral, Ramiah Brangman, Lara Backeberg, Azra Shakir, Marli Butterfield, Che Chulae Dowling, Shye Blair Paynter, Katelyn Medeiros, Adia Gibbons, Jahni Simmons and Katherine Bean Rosario.